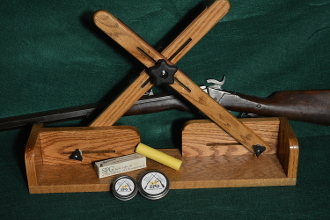 SALE $10 OFF- Benchrest shooters and load developers, this is your setup for replicating the cross stick muzzle rest. Silhouette and Quigley shooters, this is a must have for load development from the bench. Cats quality hardwood workmanship and easy adjustment makes benchwork easily adjustable and reliable while protecting your rifle barrel. Taxes apply for Missouri residents.